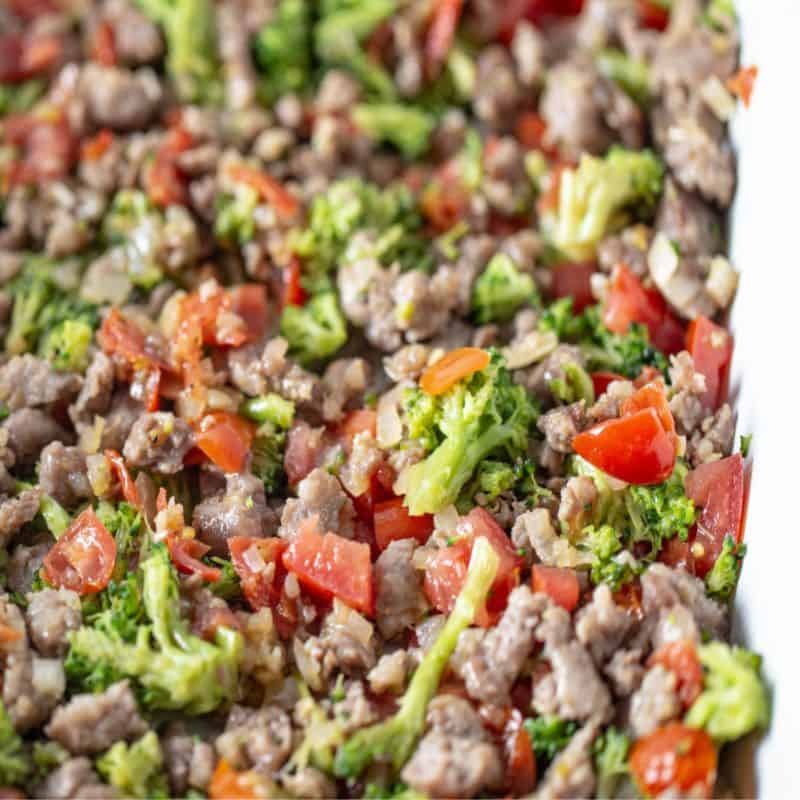 This is also a low-carb breakfast casserole made without potatoes or bread and it’s so flavorful from the sausage and veggies! A perfect addition to your Easter Brunch! You know I have been preaching Make Ahead recipes lately as in other breakfast recipes, Breakfast Burritos and Veggie Egg Muffin Cups ! This breakfast bake is one of those recipes that’s so quick and easy, you can either make it ahead or prep and bake all at once. If you haven’t made an egg casserole, you are missing out! They are easy to prepare and always delicious! A great way to feed a family or a large crowd quickly too! Perfect for any Holiday! 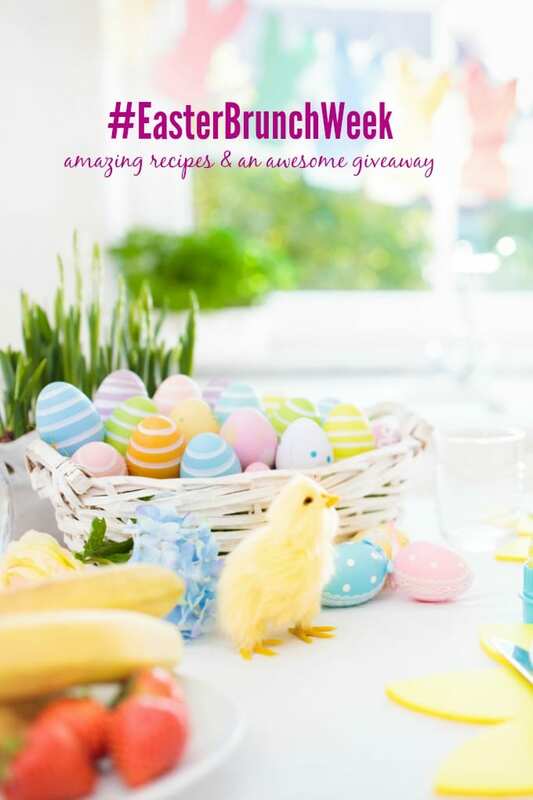 As the first day of Easter Brunch Week, I had to give you an easy recipe that is going to be a must make in your recipe rotation! 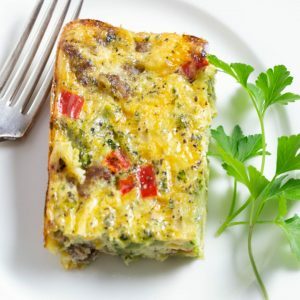 You are going to love this flavorful Sausage and Egg Casserole! 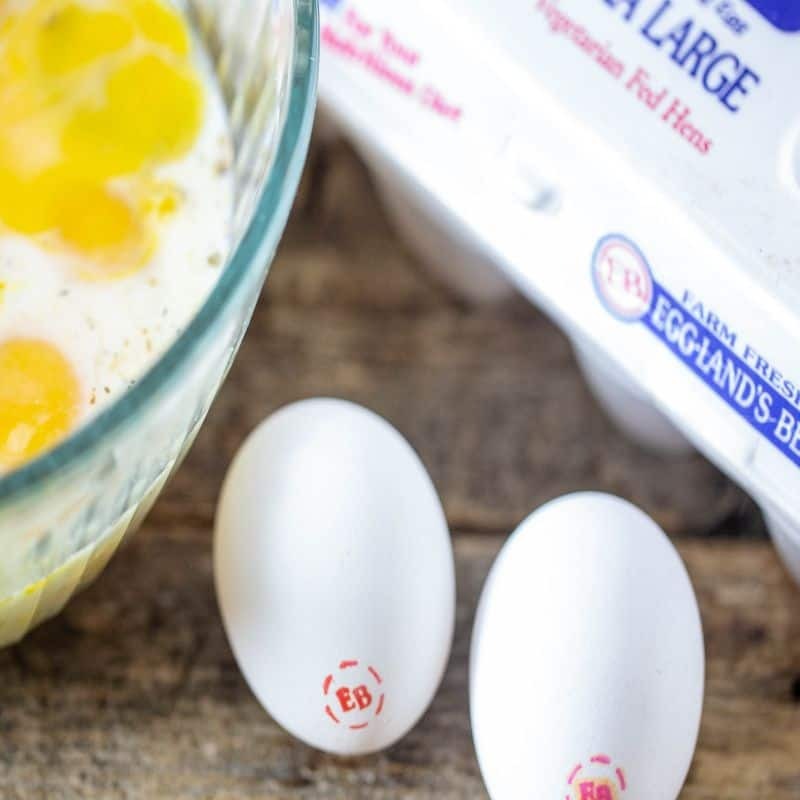 Eggland’s Best is one of our sponsors for Easter Brunch Week! I have been a fan of their eggs from early on! My Mom started using their products over 15 years ago and so have I! We use them because they are fresh and high in Vitamins! Be sure to checkout their website for more details about their products and nutritional information! When my kids were small I quickly realized I needed to have many easy recipes that I could prepare quickly. I love breakfast but I don’t love getting up! Having recipes on the ready that either just need to be popped in the oven or reheated is a big plus for me! 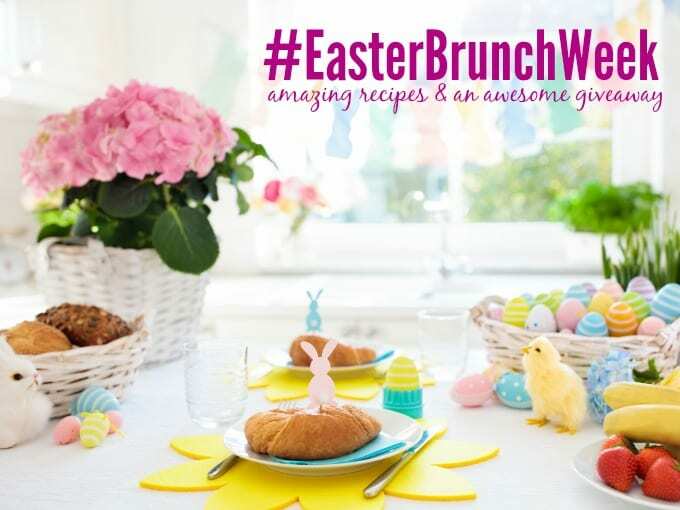 Whether you are having everyone in for Easter brunch, have a houseful of people, or want an egg dish that can be made ahead and used throughout the week, this is your answer! Sausage and Egg Casserole is one of those recipes that you are going to love making! My family love it! Even my older daughter who is not a meat lover, likes this recipe! It is filling too! I love that anyone can stick it in the oven to reheat! What is in a Sausage and Egg Casserole? 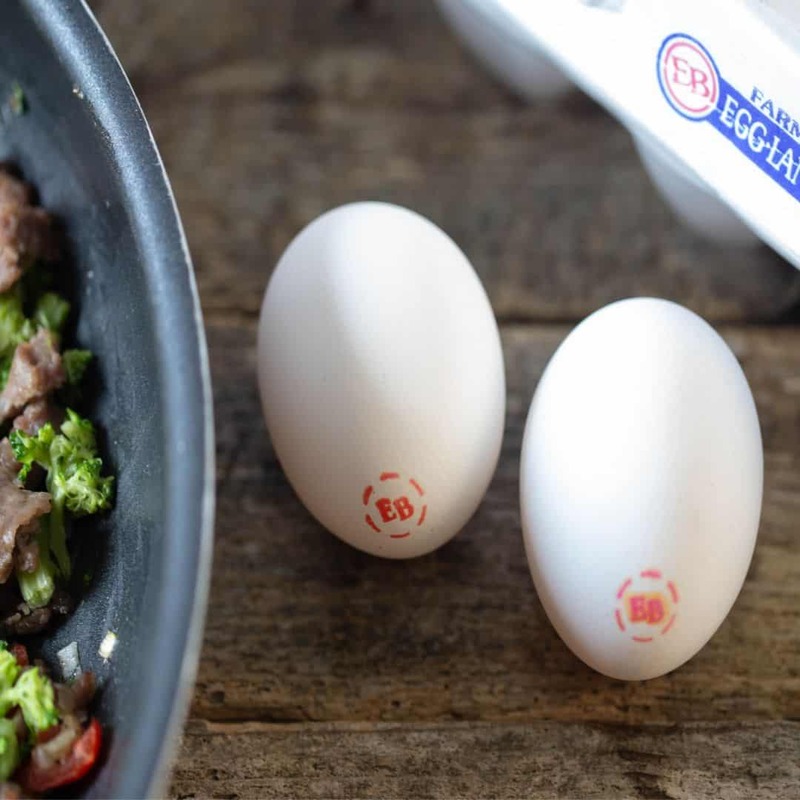 The egg casserole is filled with flavor from sausage, pepper, shallots, broccoli, red peppers, and cheese! 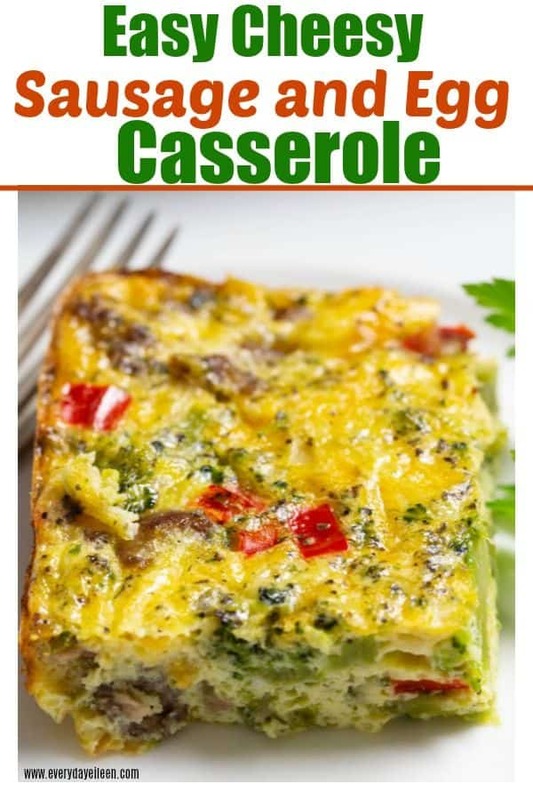 Such a delicious breakfast casserole that is also low-carb and Keto friendly. Can I swap out an ingredient in the Egg Casserole? The versatility of my sausage and egg casserole is another reason I love it! Follow the recipe exactly or sub out an ingredient! My Mom doesn’t like broccoli, so I substitute spinach or zucchini when I am making her this recipe. What cheese is best to make a tasty Sausage and Egg Casserole? Cheddar is generally what I use as that is what my family enjoys. Colby Jack, Swiss, Gruyere cheese all work! Any combo your family enjoys will work. The recipe uses frozen broccoli florets, can fresh broccoli be used? 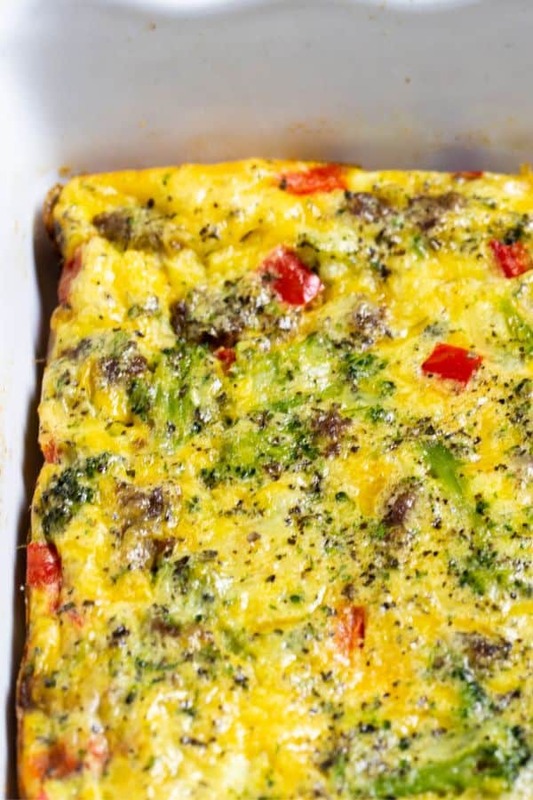 After making this breakfast casserole many times, frozen broccoli florets are the easiest! If using fresh broccoli florets, add them in with the red pepper. 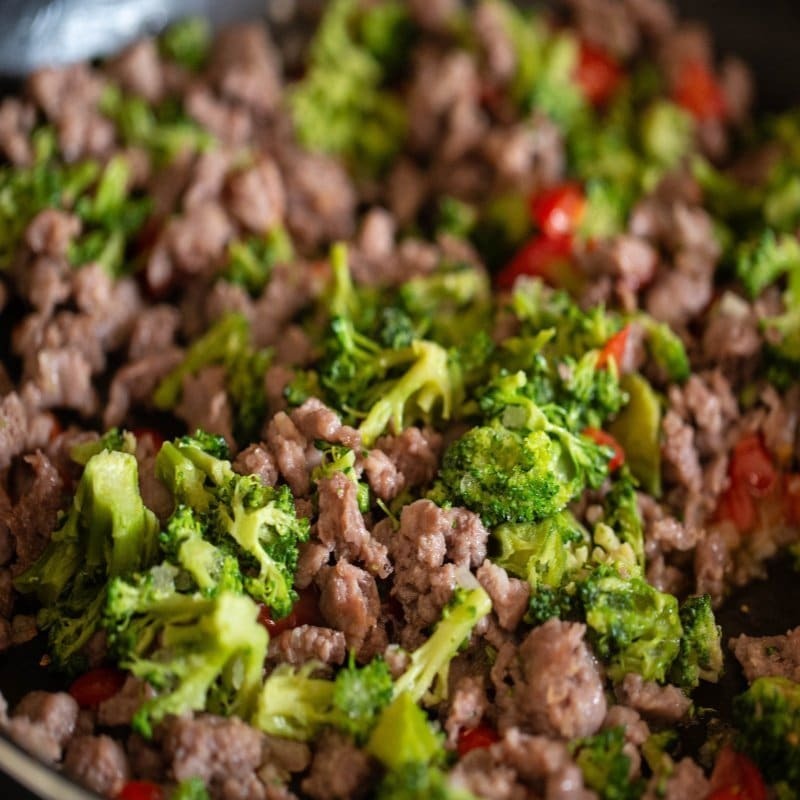 You may need to saute about 5-6 minutes to ensure the broccoli is cooked through. 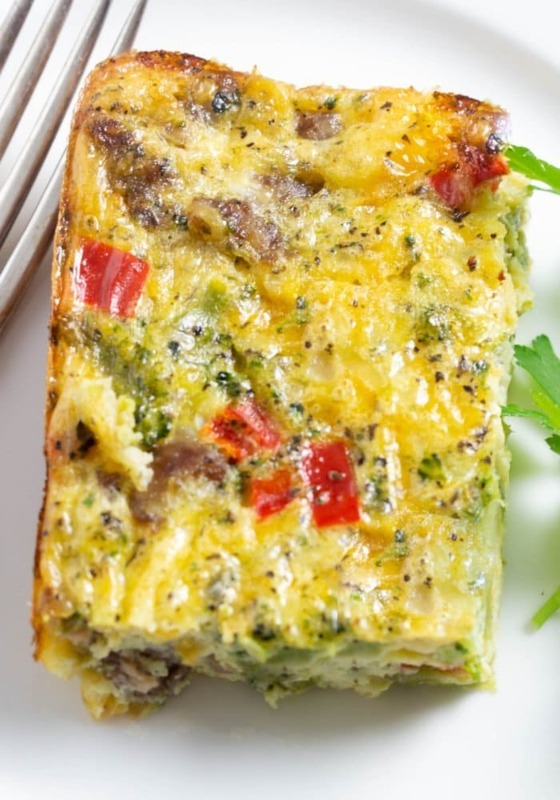 Can this Breakfast Casserole be frozen? Yes. After baking you can freeze the extra pieces individually, well wrapped and defrost overnight as needed. Reheat at 350 degrees for about 10 minutes. Use fresh breakfast sausage and remove from casing. After sauteeing the sausage, drain and discard excess fat so your casserole is not greasy. After trying both fresh and frozen broccoli florets. Frozen broccoli is easier to use for this recipe. Semi-defrost the broccoli and chop it up for the casserole. Pre-shredded cheese can be used as a shortcut in this recipe. Spray a 9 by 13 inch casserole dish with non-stick spray. Set aside. Saute the sausage meat until all browned. Saute shallot and red pepper until they get soft, about 4 minutes. Add in the broccoli and saute another minute. 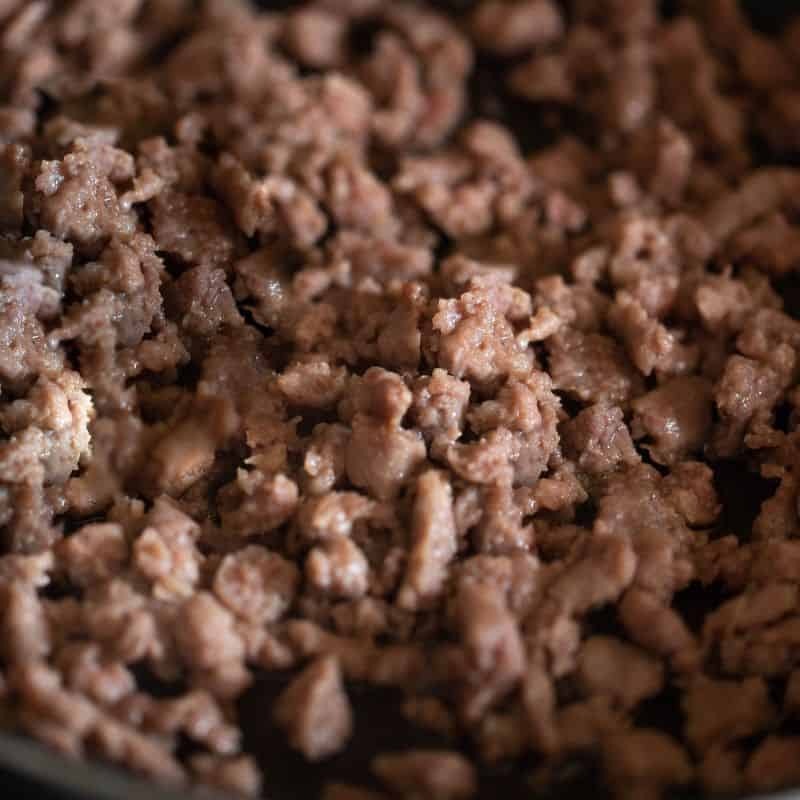 Stir in the cooked crumbled sausage. Pour the sausage mixture evenly into the prepared casserole dish. Sprinkle shredded cheese over the mixture. In a large bowl, whisk the eggs, milk, parsley, basil, garlic powder, black pepper, and salt to combine well. Pour over the sausage mix. Bake uncovered for 30 minutes. Check center of the casserole, should not be jiggly! (jiggly being my very technical cooking term) Take out, let sit a few minutes and slice! If center is still not done, check after another 5 minutes. 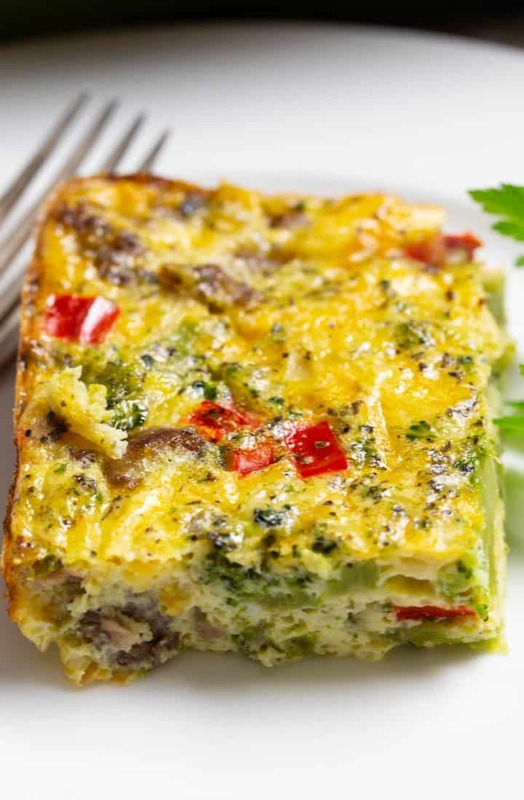 A tasty combo of sausage,eggs, red pepper, shallot, broccoli, and cheese makes a delicious Egg Casserole! perfect for Easter Brunch, Mothers Day, Christmas, and New Years! Easy to prepare, bake and serve! A low-carb breakfast recipe! Note 1: frozen broccoli florets are easy to use in this recipe. Take them out of freezer and let them begin to defrost. Chop into bite size pieces. Note 2: If using fresh broccoli florets, saute with the red peppers so the broccoli cooks. A huge thank you to Ang, who writes Juggling Act Mama! Ang set this whole week up! She compiled a great group of talented food bloggers together. Everyone has a blast sharing amazing recipes! Ang has gathered the best sponsors who have donated great prizes! Please take a few minutes and check out her website! She is so talented and creative!